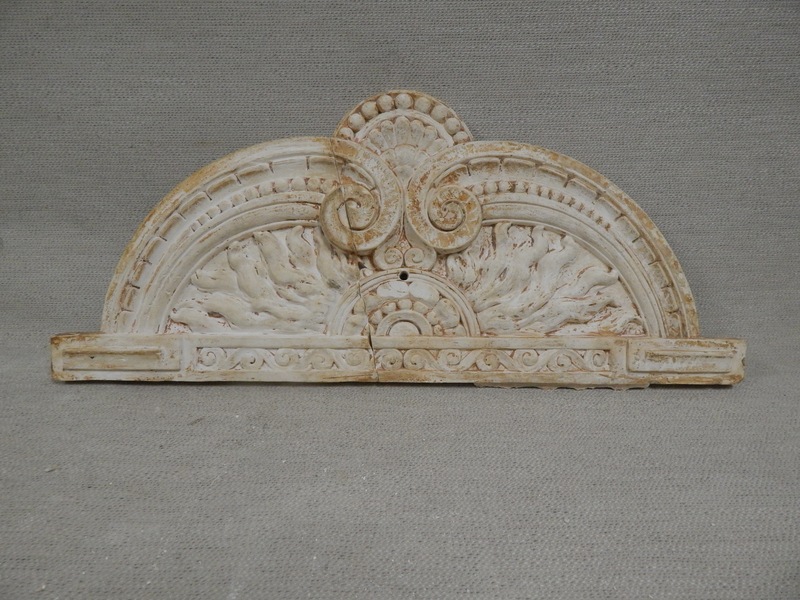 Decorative plaster ornament was removed from a ceiling and cleaned. A few layers of old paint was removed. Cracks were filled and all missing spots were recreated in original material. Decorative panel was very fragile, reverse surface was strengthened by plastic mesh.